After writing my post for last week's Fairy Tale Fun Blog Hop, I had Anne Hathaway on the brain. 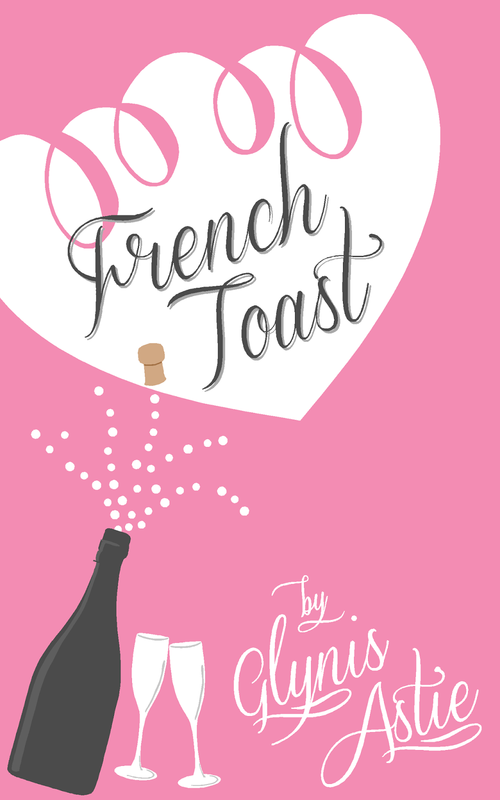 I was suddenly reminded of a post I'd written for the launch of the second book in my French Twist series, French Toast. I was asked to write about my dream cast for the movie version of French Fry. Read on for my magical selections! Truth be told, it has been a fantasy of mine to see my books made into movies. What author wouldn’t enjoy seeing her brilliant tome turned into a work of art on the big screen! I have no doubt many of you have read books that you just fell in love with and played a fun game of “Who would you have play the title roles in the movie version?” This game is especially entertaining with a nice glass of wine and a bowl of chocolate! She would be perfect for this role since she's intelligent and funny, but also very adept at playing awkward. Believe me when I tell you I'm awkward with a capital “A.” She wouldn't be fazed by the babbling, pratfalls and absolute lunacy I tend to showcase. You would have to be a talented actress indeed to make those traits appear endearing, as I hope I have in French Toast. You'll have to be the judge! To make things a little more fun, I let each of my “characters” choose their own actor/actress for our movie. My husband went with the gorgeous Jason Statham to play his alter ego, Louis Durand. I heartily approve of this choice. Mr. Statham is charming, funny and extremely engaging, just like my husband. And he has just the right amount of attitude! Though he may not be from France, I'm sure he could do a wonderful approximation of my husband’s accent – which is actually not a classic French accent, but more of a European mix. People often have trouble placing where he's from when they hear him speak. Germany is the most popular guess! 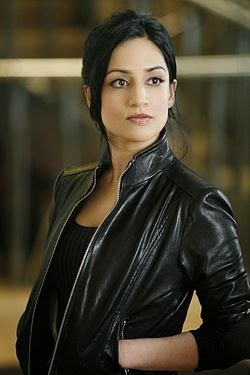 My friend whom I modeled the rather snarky Maya after chose Archie Panjabi to play her in our big screen adaptation. I know what you’re thinking – the actress who plays a character as intense as Kalinda Sharma on The Good Wife is going to be convincing as a shallow, impatient and apathetic wiseacre? Have a little faith! Did you happen to see a little movie called Bend it Like Beckham? I think that Ms. Panjabi was very convincing as the flighty Pinky Bhamra. That’s right! THAT was her. She can totally pull this off. My sister has chosen the lovely Emily Blunt to play Kate Bennett. She insisted on finding an actress who was witty and charismatic, but also very good at being “bitchy.” This gave me a quite a chuckle since though my sister can turn a nasty phrase when necessary, her character in French Toast is the very image of perfection. I believe Ms. Blunt would be able to capture just the right combination of candor and compassion – with a dash of acerbity. My brother and I have discussed his resemblance to Robert Downey, Jr. for many years. A favorite actor of both of ours, he was the obvious choice for Charlie Bennett. My brother is the most honest, funny and tender-hearted person you'll ever come across. His scope of knowledge is astounding and his laugh is contagious. Just thinking about him makes me smile! 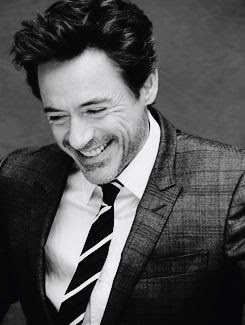 That's the same feeling that I get when I see Robert Downey, Jr. on screen. There's a certain magic about him which I find both captivating and endearing, just like my brother. As my parents have both passed away, I have no option but to choose their actors for them. My mother would most definitely by played by Sally Field. I've always been impressed with her work and my mother was a huge fan of hers. Murphy’s Romance was her favorite movie of all time. Ms. Field would easily be able to capture my mother’s kindness, determination and sassy sense of humor. She sacrificed everything for us, putting her needs absolutely last on her list, and she did it with such incredible grace. Growing up, she was the mom that all my friends could relate to and I never tired of hearing how lucky I was to have her. Casting my father’s role is a total conundrum. My dad was a truly unique soul – part teddy bear and part pit bull. He was incredibly intelligent, was full of sarcasm and had a very unusual sense of humor. (I'm convinced I inherited my great love of puns from him.) To make things even more interesting, he was Jewish, but was the spitting image of Santa Clause. How can you find an actor to encompass all of that? The only one I can think of is Sir Anthony Hopkins. 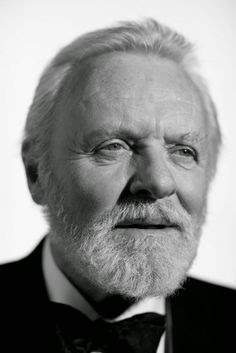 We've seen him play a wide range of characters, from the truly frightening Hannibal Lecter in Silence of the Lambs to the very kind and loyal James Stevens in The Remains of the Day. I suppose if he can capture all those emotions in different roles, he can combine them into one character. It would be the role of a lifetime! 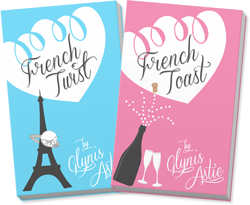 Perhaps one day I'll be lucky enough to see the French Twist series made into a movie, but for now, I'm fully content with the fantasy. Happy Reading!